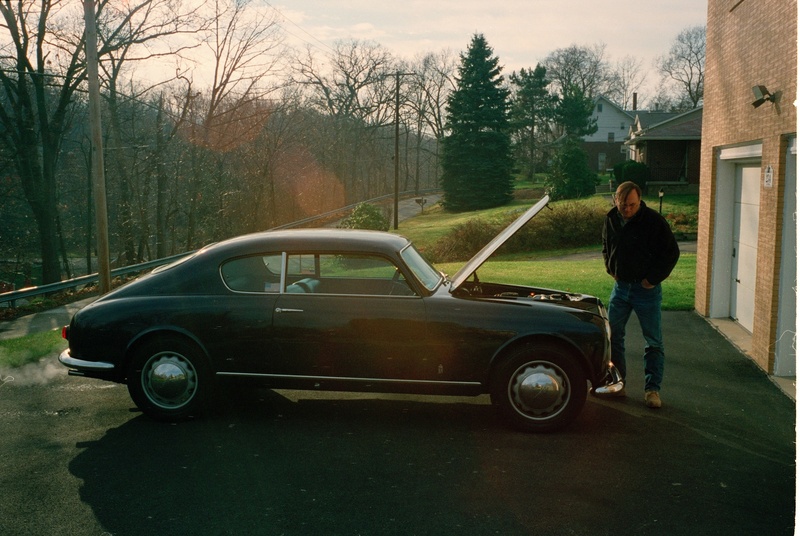 A very dear Lancista, Walt Spak, passed away in June in Pittsburgh. He had struggled with health issues for some time.Our thoughts go out to his family. He will be deeply missed. The memorial is being held August 24, in Pittsburgh at the Valley Refuge Shelter, Riverview Park. You can find the location of the Shelter on Google, its in the SE corner of the park. The event is called for from 2-8, and I’ll be there around 4 on. Look forward to seeing you all and raising a glass…. Walt was East Coast Vice President of the American Lancia Club, and a well known Lancia restorer. His knowledge of Aurelias and other Lancias was deep and unrivaled. He and his friend Bob Williams were resposnbile for some of the best Lancias in this country. Our friendship started a long time ago, in the mid-1970s, close to forty years back. We shared a common passion in all things Lancia. His sense of fairness was central to who he was, and for those of us who knew him, he was most generous and gave more to others than himself. His deep respect for the elegance of Lancias, was inspiring. Walt was also a Vietnam veteran, one of the few I knew, and had done active service for his country. A true loss for the Lancia community as well as family and friends. Deepest sympathies to the Spak family, and his many friends……………he will be missed.